Understand voice trends before the competition. And say hello to the first and only comprehensive source of voice traffic data and analysis you'll ever need. International voice traffic data for 60 countries and over 1,000 routes. Analysis of trends in retail and wholesale prices and revenues. Retail, wholesale, and interconnection rates. Expert analysis on the impact of consumer VoIP (OTT) services. There's more included that we just don't have the room to list here. Download the product brochure on this page to get the full scoop (including prices, licensing, and more) or click here to ask a specific question about what this subscription gets you. Explore the data and analysis in the TG Report and Database. 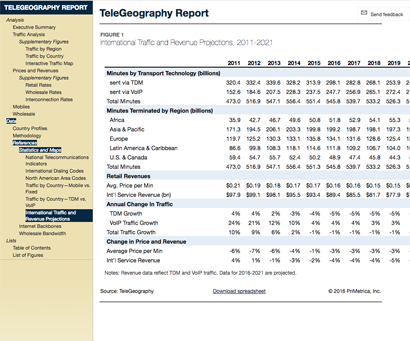 I have been relying on industry research produced by TeleGeography dating back to the mid-1990’s when I subscribed to [the] report tracking international bilateral voice traffic (when overseeing a group at AT&T responsible for market intelligence). 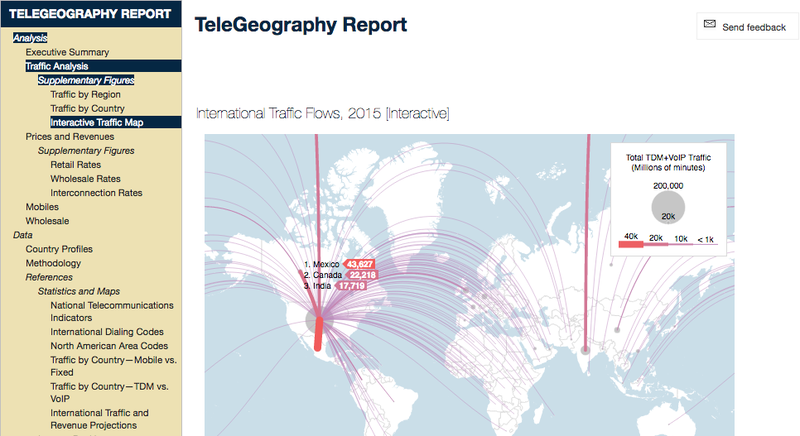 I have always been deferential to the quality of [TeleGeography's] industry research, which is the authoritative source of international traffic and capacity trends and a highly valued strategic input. Got a specific question? Lilian can help. 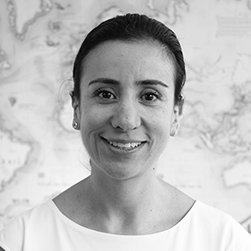 Lilian Lea is TeleGeography's Americas Account Manager. Email her at llea@telegeography.com for more information about this product.